Taking the ACT score the second time is not a bad thing, it can be a great thing! 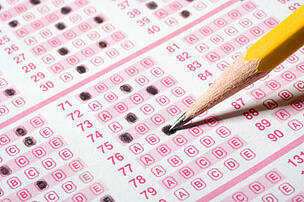 Taking the test multiple times can not only help improve your score, but it can help you reach your ideal score. Like writing an essay, it’s important to start with a first draft and finish with a strong, final essay. Taking a test more than once can help you produce better results. The first mistake is underestimating the ACT Exam. 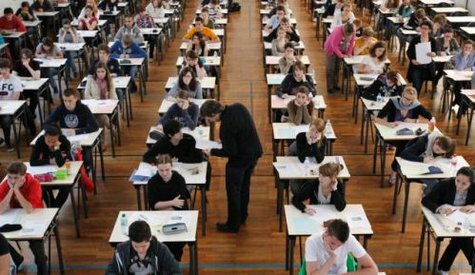 Everyone thinks the exam is only testing your knowledgt, but it is also testing your skills. While many students study hard, they do not brush up on the skills they need to get a high score. Improving your ACT test score can be attained by following these tips and strategies to better prepare you the second time around. Take a practice test and take it seriously. Get in the zone and establish test-like conditions. Go through each section and time yourself. Take a few minutes for a quick break, but make sure those few minutes don’t turn into hours. It is important to build test endurance. Once you complete the exam, consider it your base score. What is that you can improve on? Get a closer look at your score. Fix the problem. Was it just because you were careless? Maybe you didn’t read the question correctly. If so, you need make sure you give yourself enough time to completely read through the directions and understand what the question is asking. Did you not have enough time? Sometimes students feel rushed and think there isn’t enough time. Make sure you time yourself and prepare for the stress that comes with a timed test. You can do this by… practicing! Were you completely stumped? You need to focus on the content given. It’s okay to read through something more than once, just remember to focus. After you complete the practice exam, compare your score to other incoming freshman that you will be competing against. Unless your score is significantly higher, plan to spend a good amount of time preparing for the actual test. Go through each section and talk to your tutor about which sections you scored the lowest in. The key to improving your score is to bring up the areas you scored the weakest in. This will help your strong areas carry through and bring up your lowest scores. Don’t forget to relax: One of the most vital things to remember is to relax the night before the test. Over worrying and cramming isn’t going to do you any good. You’re being tested on the knowledge that you have accumulated through your courses and the ACT prep. So remember to relax, know your strategies and be confident in your skills. Know the test: You already have a huge advantage the second time around. You know the format of the test and how much time you have for each section. Still Need More Help and Insight? Chicago Academic has optimized a rigorous and effective curriculum for ACT preparation.Both our private and classroom programs focus on building familiarity with the ACT exam’s architecture and style. Teaching you the specific skills necessary for succeeding. Personalized strategies for time management, the answer selection process, avoiding traps and more. This combination of expertise and commitment has dramatically improved student scores on the ACT exam throughout the Chicagoland area. The results speak for themselves. Chicago Academic provides detailed diagnostic reports in order to closely monitor each student's improvement.The data is comprehensive and organized to provide the most accurate assessment of each student's progress.